The earliest Girl Scout stamps of Romania (1935) and Lithuania had few covers on first day dates. 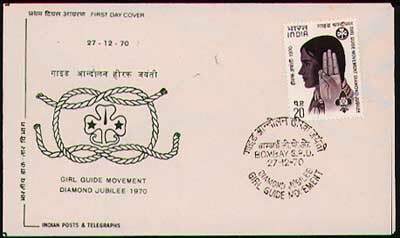 It was not until the post-World War II era of Scouting and stamp collecting do we see the creation of many Girl Scout first day covers (FDC). The most notable of these early issues was the 1948 USA Girl Scout Stamp honoring Juliette Low. There are many cacheted FDC for all United States issues, to include the 1962 issue honoring the 50th Anniversary of Girl Scouts in the U.S. 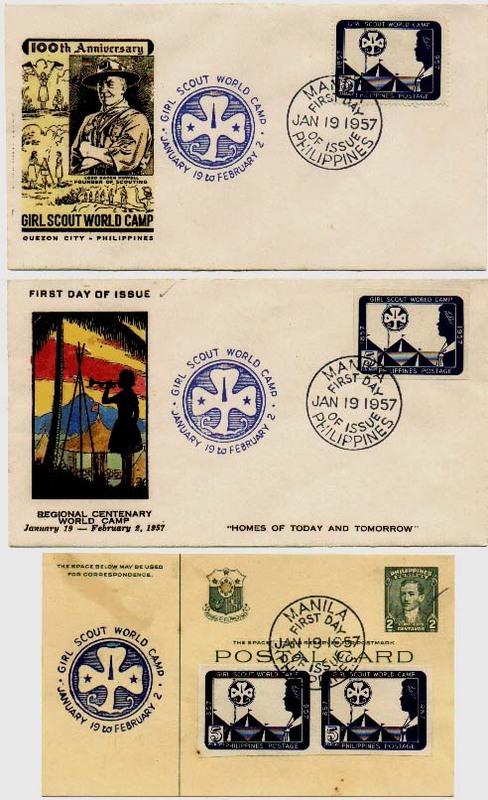 In 1957, the Philippines were host to an international gathering of Girl Scouts. 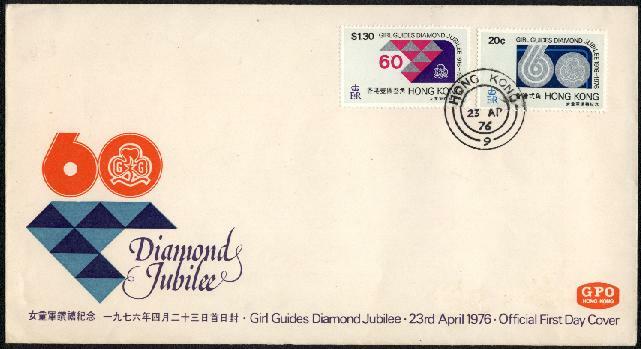 This issue had many philatelic souvenirs created.